The watch market was estimated to be approximately 9.8 billion dollars in 2017. This value continues to increase everyday as watches become classier and fashionable. 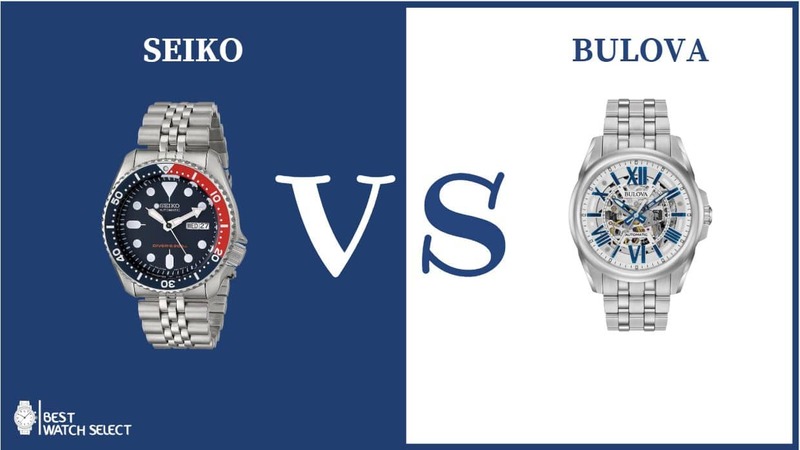 Among the wide varieties of watches to choose from, you have Seiko vs Bulova watches. The two organizations that manufacture these watches have been operating for over a century now. We will be focusing on wrist watches which both of them manufacture to find out which watch is actually better than the other. After analyzing the features and benefits, you will get to find out which suits you most. But first there are general things that you should put in mind before investing in a watch. The following section will focus on that. There are tons of things to consider when picking watch. We will discuss the most important aspects for you to consider. Here is number one! This is a very important aspect when it comes to picking a watch brand. The customer care department should respond quickly and correctly to any query or issue you may have. Some of the issues or queries that you may find yourself having after buying the watch include warranties, refunds and exchanges. Today, most organizations have reported a decline in after sales services and that includes Seiko and Bulova. In 2008, Citizen bought Bulova Watch Company at a whopping 250 million dollars. Today, you can easily find watches made by Bulova only that the parent company is Citizen. Citizen is recognized globally for its excellent customer care services compared to Seiko. Repairs done by Bulova company under Citizen normally gets better ratings than Seiko with regard to quality and speed of the repairs. The watch is what defines the organization. Who has a better watch at the end of the day? Bulova or Seiko? Well, each organization has its fans. Bulova has been praised for a while now for including unique features such as resistance to water, dust and radio control system. You also get to see other time zones. Bulova makes watches that are of dark complexion. Most users have reported that it lacks the glow that Seiko has especially in sunlight. At the end of the day, the watch of your choice depends on your tastes and preferences. Both watches are good both in terms of looks and functions. The manufacturing process of Seiko is regarded to be superior than that of Bulova thus making it quite expensive and classy. Seiko was started back in the year 1881 in Tokyo, Japan by Kintaro Hattori. It first started operating as a jewelry shop. Ten years later, Hattori began producing clocks called Seikosha which means house of exquisite workmanship. Seiko in Japanese means success or exquisite. The first watch made by Seiko appeared in the market in the year 1924. As the organization continued to grow, in 1969, it manufactured and started selling the Astron which was the first quartz watch in the world. And its cost was similar to a medium size car. Today, Seiko is 137 years old. Bulova the first complete set of watches for the masculine population. Bulova started operating in New York, Woodside and Flushing. He made continuously innovated the watches he made and also started producing tools used to make watches. Today, Bulova is owned by Citizen. Clearly, both organizations have been active in the industry for a long time. Therefore, buying a low quality watch is not the issue here. The reputation of the company matters a lot. Factors such as customer service and warranties are the determining factors here. Most of the watches manufactured by Seiko are resistant to water to allow you to swim and dive with it. The watches differ by how resistant it is with regard to your depth in water. When choosing a watch, be sure to check the level of water resistance. Some will only protect minimal water splashes and rain from entering but not submersion. Always check this feature before buying a watch to avoid disappointment. Majority of watches made by Seiko usually have a stainless steel case. It is not a very strong metal but it is great when it comes to weight, durability and quality. Extra features such as the Hardlex crystal make your watch more durable. Some watches manufactured by Seiko have a huge power reserve of up to forty hours plus. This feature allows the watch to operate for many hours when it is not worn and makes it more convenient because it provides the user reserve power of up to two days when not in use. This feature allows the user to see today’s date and day. It is usually beneficial because you do not have to look up the date on the calendar or on your mobile phone. With our daily activities increasing, it is very easy to forget the day and date. If you are away from your office or home, this feature is really important. Always have your watch on your wrist. This cool feature allows you to read time at night or in a place where there is no light. Seiko has been known for this feature which functions better than other watches in the market. This feature is also important in broad daylight. Seiko watches with this feature are more durable because it makes them resistant to scratches. The more Sapphire crystal is used on the watch, the higher its cost in the market. It is best to know how much scratch resistant you want your watch to have. Some watches manufactured by Seiko require no batteries for them to work instead, they are powered by the movement of your arms. These watches also have a power reserve that enables it to function when you have not worn the watch. Seiko watches are made with the quartz movement mechanism. This allows them to tell time accurately. Seiko has been for a long time, a great innovator of the quartz watch. 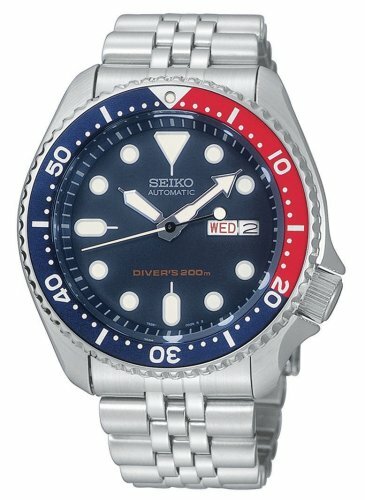 This is a great option to look for in Seiko watches. Sometimes, we are so busy to start winding up a watch every time its battery runs out. Some Seiko watches have the hand winding and self-winding feature for your convenience. Similar to Seiko watches, Bulova also manufactures water resistant watches. These watches are good for a person who loves water related sports and marine activities. The water resistance level differentiates with the model of the watch. For some, you cannot dive beyond 200m depth with them on. You can get Bulova watches with the non-reflective sapphire crystal which makes it scratch resistant. Normally, the sapphire crystal is better than the Hardlex crystal when it comes to extra protection of the watch against scratches. Bulova’s high performance quartz together with its vibrational frequency enables the watch to tell time with a higher precision. Bulova started manufacturing watches with the quartz feature at almost the same time with Seiko. This is a truly remarkable feature to look for in a watch you wish to buy. Most of the watches manufactured by Bulova have LumiBrite hands to allow the user to tell time at night or in locations where there is no sufficient light. You will find that most watches with black dials will have white accents to help you read time accurately at night. It is a cool feature especially if you work or travel at night. 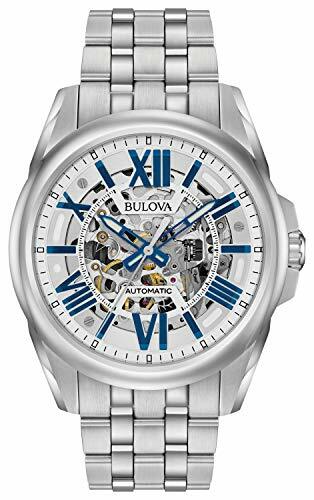 Some Bulova watches have a power reserve that do not require batteries to operate instead, they get powered by the movement of the user’s arms. You can get a watch with a reserve power of up to fifty hours. This feature is worth looking for in Bulova watch models. Most Bulova watch models do not need you to reset the date and day because it has a sophisticated technology that allows it to handle such tasks. The in-housed calendar knows the day, month and the year automatically. It can also keep up with irregular months like leap years and February as years pass. It is also convenient for you as the user because you may have a lot in your mind and forget the date or the day. You need not check your phone or carry a small calendar. This feature works in an amazing way. With 137 years of active operation in the industry, the organization has continuously developed new designs for its consumers to enjoy. Why should you choose Seiko over other brands in the market today? Here are some of the options for you to choose from. Seiko offers all these options which are durable, low maintenance and high performance. Among Seiko’s greatest features is the sky high accuracy which is maintained within five to ten seconds. This is a huge advantage knowing that the average quartz loses about fifteen seconds per month. The sport or luxury feature never ceases to amaze users of Seiko. You need not sacrifice your hobby for your watch or vice versa. You get the whole cake in one piece. These watches are designed to last for years of daily use. Once you buy a Seiko watch, durability and reliability is guaranteed. Kinematic movement: This movement turns the movement of your arms into a power source. You can get a watch that suits you and your needs from the wide range manufactured by Seiko. This a huge advantage compared to other organizations that have limited product lines. Bulova is currently 143 years old. The organization is popular and successful because of its continuous creativity and innovations of its product lines. Features such as the power reserve, scratch resistance and quartz and precision movements have made its users happier than ever. After the detailed review of the two organizations, which one is better than the other? In terms of quality, Seiko ranks first on the list. If you are looking for higher functionality and more features, then Bulova is your watch. Just as we said earlier, everyone has different tastes and preferences. What is good for one person may be worse for another. It all depends with your environment, tastes and budget. Before deciding to buy a watch, look at its features, warranty and company reputation.